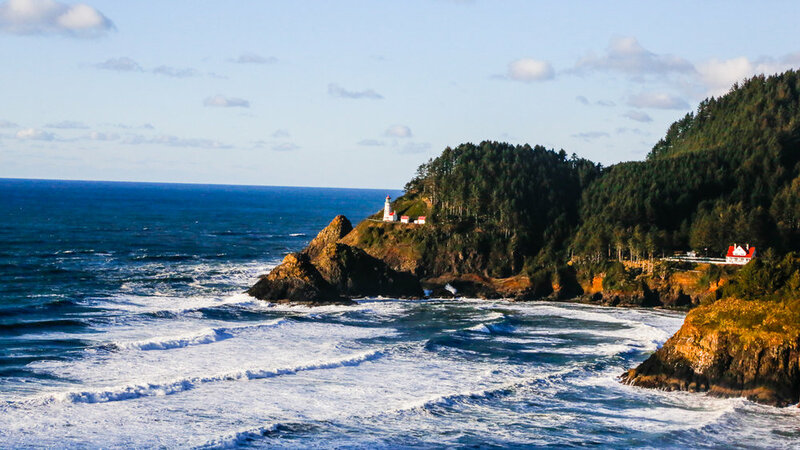 Touring The Oregon Coast On A Budget — Welcome to Fitty Foodlicious! I love to travel! I truly feel my best when I'm exploring the world with my best friend. We are really good day trippers and can turn a mundane car ride into a lot of fun. When we are on long drives in the car, I feel that's when Shane and I connect the most. We have each other to ourselves and can talk about almost anything. It's comforting to know that he enjoys traveling as much as I do and never thinks twice when I suggest a new trip. So when he suggested we tour the Oregon Coast, I was intrigued. I knew we needed a good car for it so I was super thankful when Mazda reached out to me and asked if I wanted to test drive their new 2018 Mazda CX-5. Not only did I adore the red color, but the comfy interior was amazing! 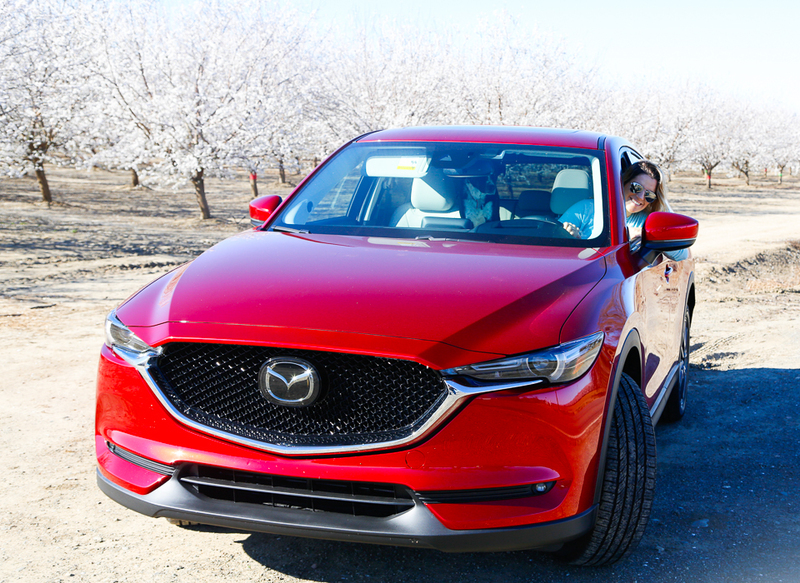 With our Oregon trip, I knew we wanted to keep a budget so I was relieved to find out that the 2018 Mazda CX-5 got a fuel economy of 26 MPG with an average yearly fuel cost of $1400, depending on how much you drive. That's saving a ton of dough in gas money! We packed up the car, loaded up our excited pups and we were ready to hit the road! The first thing I noticed about the Mazda CX-5 was the speed and trip info pops up in the windshield of the car which is really cool. It's literally like a hovering speedometer guiding your way through the windy roads! The next thing I noticed was the ability to have heated seats and a heated steering wheel. How cool is that? This was especially awesome because it was freezing on the Oregon coast during our trip and I can promise you, we went through all various kinds of weather changes in a matter of hours. The Mazda CX-5 handled beautifully in the sleet, wind, snow, hail, and rain. 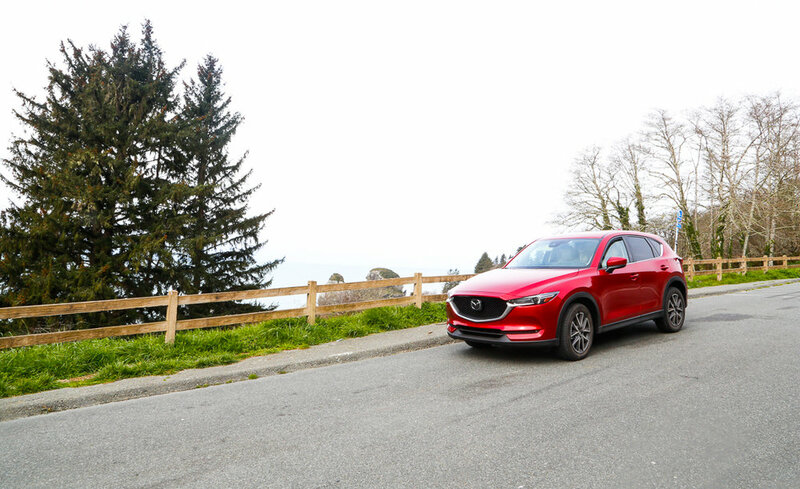 The Mazda CX-5 even has Skyactive technology that does commands in the car that can tell you when you are approaching another car too closely or when you are about to veer into the other lane. It takes the smart car to a whole other level! So we ventured onto the open road with Brooking's Oregon being our sleeping destination. I was able to nab a super huge house at a super cheap rate! That's my first tip: Browse Airbnb until you find the perfect place! I searched other home sites and just wasn't please with the deposit and pets rules, so when I found this place on Air BNB that had no deposit or pet fee in less than an hour of searching, I was ecstatic! I'm a stickler for cleanliness and high talks of the place and when I saw the place checked out in both departments, I was super excited! Tip 2: Bring food! We made the epic mistake of not bringing any food with us and the way we drove into Oregon didn't give us very many options, food wise. We ended up not eating the best road trip food and I now know better for next time to bring healthy snacks. We piled on the healthy drinks so I'm not sure how on earth I forgot food. We brought tons of water, smart water, coconut water, and of course, La Croix, because really, what is life without La Croix? Next time I'll be sure and bring my usual roadie snacks: beef jerky, energy bars, sammies, protein balls, and collagen bars. Next time, I will be super prepared like I usually am. Don't forget your roadie snacks! They will save you from being travel hangry and from sugar drops which typically occur after long hours in the car. 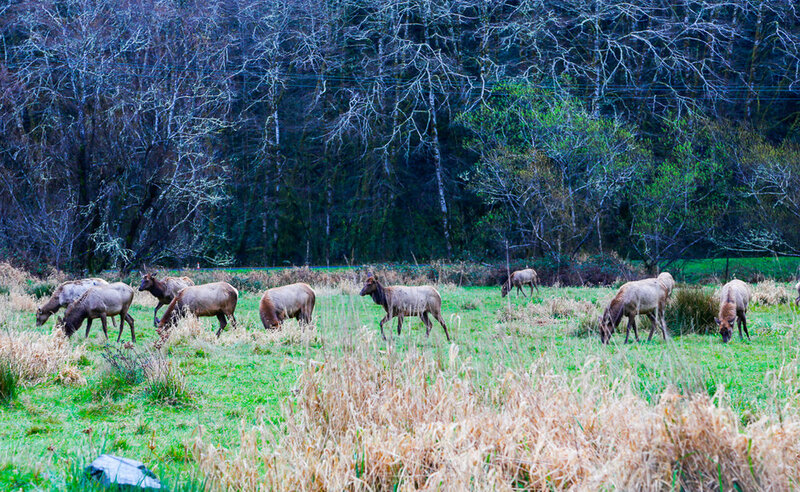 On our way to Brookings, we were lucky enough to spot Elk and captured some gorgeous photos of them. I wish I could have gotten closer, but Elk can be dangerous and we were instructed to take pictures while staying put in our car. They were so gorgeous to watch! They look like gentle giants and I honestly could have stayed there all day watching them. We saw beautiful coastlines and drove through the snow! It was near freezing temps, which my dogs looked at me like I was crazy for making them go outside, but the scenery was gorgeous! We drove through the redwoods and saw the giant redwoods that loomed overhead. 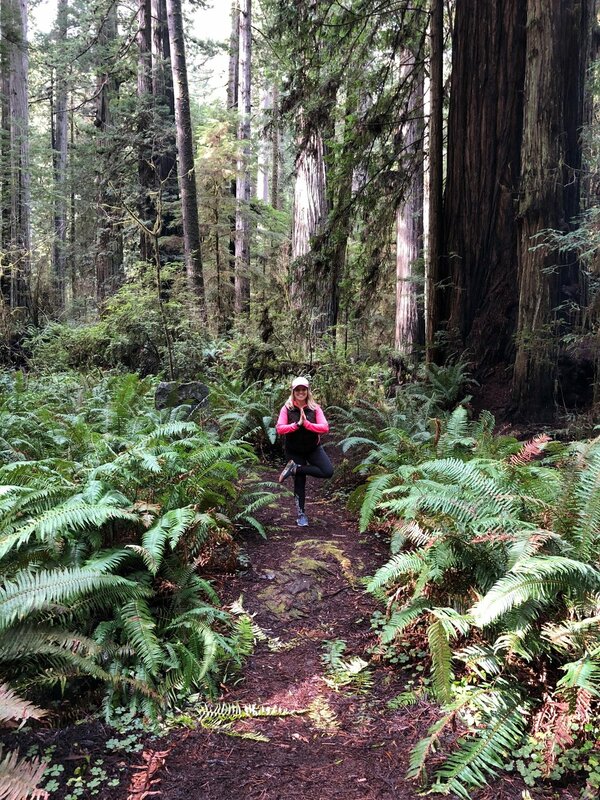 I love driving through the redwoods! It's one of my favorite things to do and I could spend hours looking for 4-leaf clovers in those woods. I always feel like I'm on the set of Jurassic Park when I'm there. The silence is beautiful there too. The way the wind ripples through the trees and after it's as if life stands still for a moment. We tried out new foodie places once we got in Brookings. 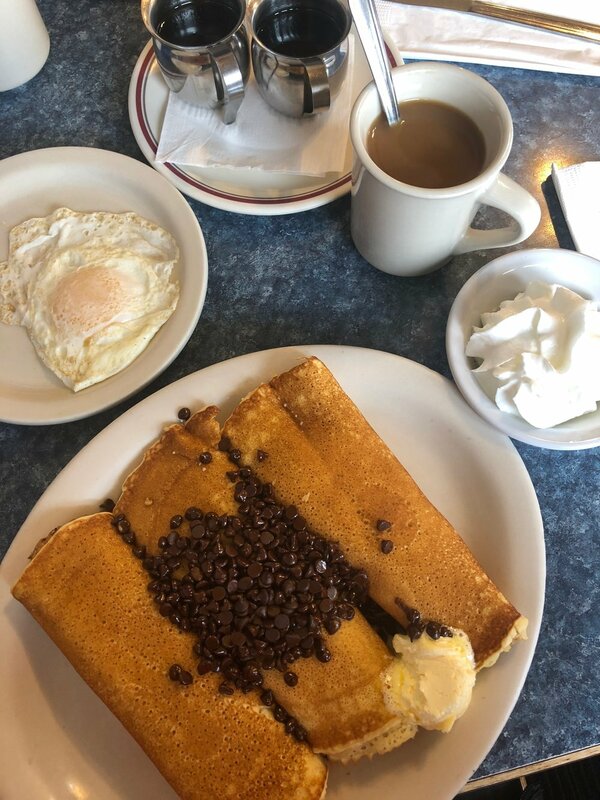 We tried out this one breakfast place that I wasn't a huge fan of, but we also tried this pizza place called Zola's which you must try if you ever find yourself in the Brookings area. The pizza was so good and I'm a pizza expert. The Greek salad was delicious too! 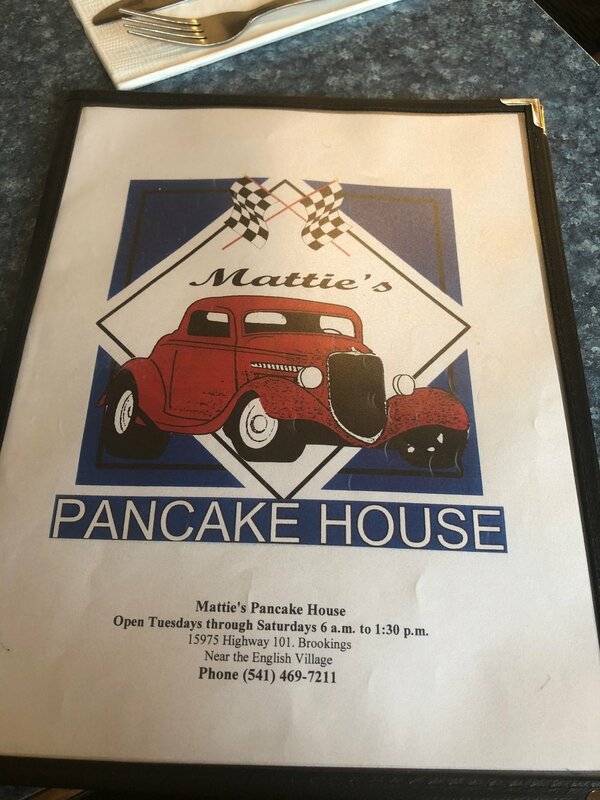 The next morning we went to this place called Mattie's Pancake House located on highway 101 in Brookings, right where the Oregon/California border meet. I ordered the chocolate chip pancakes and they tasted like butter! They were so fluffy and delicious, I can't wait to go back there. I highly recommend Mattie's Pancake House! We toured all different kinds of Oregon coastal towns, but the next goal trip on our list it touring Astoria, Oregon where The Goonies was filmed. That is next up on our travel bucket list. 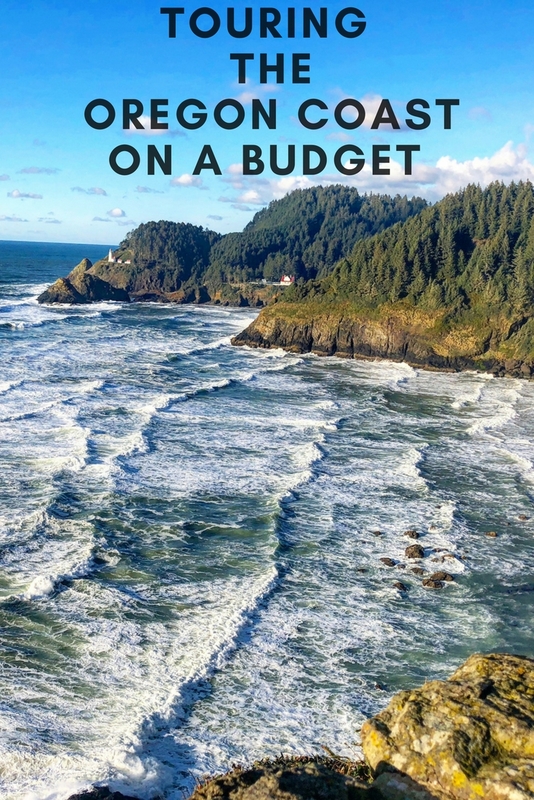 The towns we toured were Brookings, Coos Bay, Bandon, North Bend, Gold Beach, Newport, Cape Lookout State Park, The Oregon Dunes National Recreation Area, and Neskowin along with several others. Our favorite towns so far are Brookings, Gold Beach, and Newport. We even stopped for ice cream in Newport and had a fun conversation about The Goonies with the store manager. Everyone in the Oregon coastal towns were super nice to talk to and had a story for us about why they loved living there so much. If you go, make sure you check out all of the lighthouses along the way. We could have easily done a lighthouse tour the entire time because if there was a new lighthouse to see in every new town we went to. That's another bucket list trip. To see all of the lighthouses and photograph them. 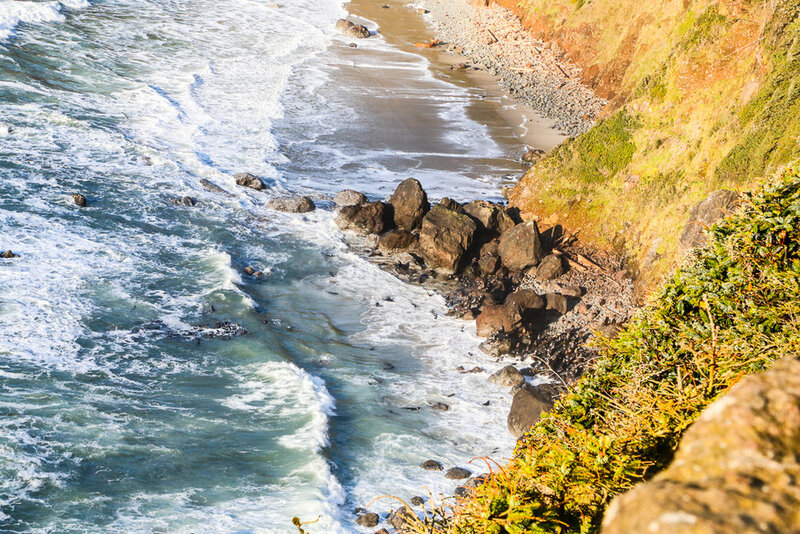 If you make out to the Oregon Coast, don't miss the idyllic town of Brookings, Oregon where the homes are gorgeous and the views are beautiful! We cannot wait to go on our next adventure and see where the open road takes us! A special thank you to Mazda USA for sponsoring this post! As always, all content and opinions are my own.